If I wasn’t married already, this is the invitation I’d want: Map on handkerschief featuring directions to the wedding venue. Location font is based on iconic “Greetings from …” postcards. 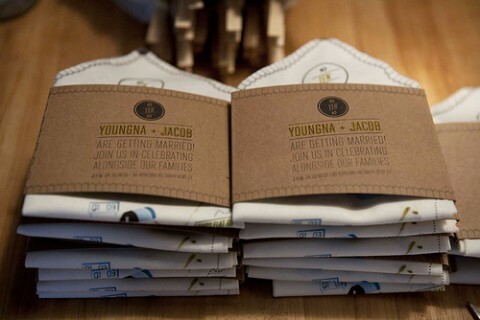 Congrats on the fabulous idea and the upcoming wedding, Youngna. UPDATE: Kelli, the designer just sent me a link to her blog post where she explains the entire process in detail. What a talent. I wonder if its socially acceptable to actually use. Maybe someone could clarify. Fantastic idea! Love love love. Incredible idea. What a lovely way to invite guests. Very original indeed. 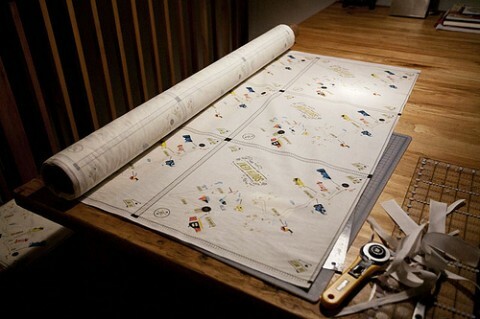 @chickenflava – You could definitely use it as a pocket square for your suit! WOW, Wish I would have seen this for my wedding too! Too cool! I love this! Such a pretty professional and this is great blog.